ZIMBABWE – HARARE – A senior police officer in Rusape is being accused of assaulting an official of the Movement for Democratic Change led by Morgan Tsvangirai as the opposition gears for an anti-president Robert Mugabe demonstration in the farming town set for Friday. MDC-T spokesperson for Manicaland province, Trevor Saruwaka, told VOA Studio 7 his party’s organizing secretary for Makoni Central constituency, Tazviona Marima, was assaulted by a senior cop at Rusape Police Station on Wednesday. Saruwaka, who is also the legislator for Mutasa Central constituency, said a senior police officer identified as District Police Officer (Dispol) Gwangwava, allegedly assaulted Marima with the help of other unnamed officers after police had called Marima to the station in connection with a protest being planned against President Mugabe’s leadership. The MDC-T’s agriculture portfolio secretary, Valentine Ziswa, who visited Rusape Police Station Thursday told Studio 7 by phone from Rusape that several members of his party were denied entry by a group of heavily-armed police details at the station where Marima is being held. Saruwaka said Marima is now expected to appear in court Friday although charges against him still remain unclear. He added that the opposition will go ahead with its planned demonstration in Rusape town despite the absence of a police clearance. Studio 7 failed to get a comment from Dispol Gwangwava as officers, who answered the phone at Rusape Police Station, said he was not in his office. National police spokesperson, Senior Assistant Commissioner Charity Charamba, said she could not comment on the matter as she was yet to be briefed by her colleagues on what happened at Rusape Police Station. Meanwhile, Saruwaka said his party is not happy with Mr. Mugabe’s government, accusing it of running down the country’s once vibrant economy. 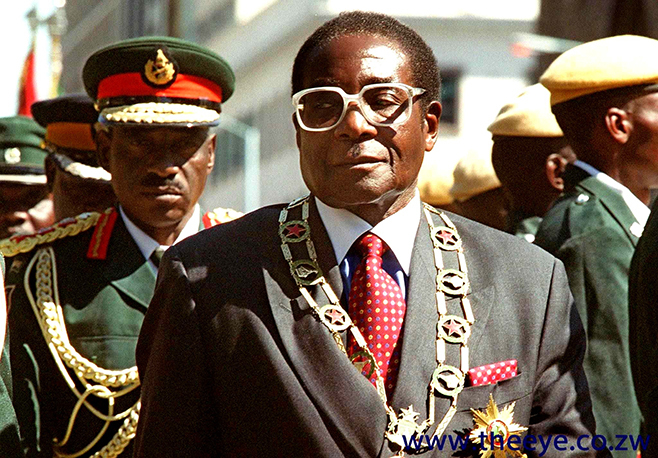 For his part, Mr. Mugabe told Zimbabweans during his State of the Nation Address this year that he expected the country’s economy to grow, driven largely by value addition and beneficiation in the agricultural and mining sectors.